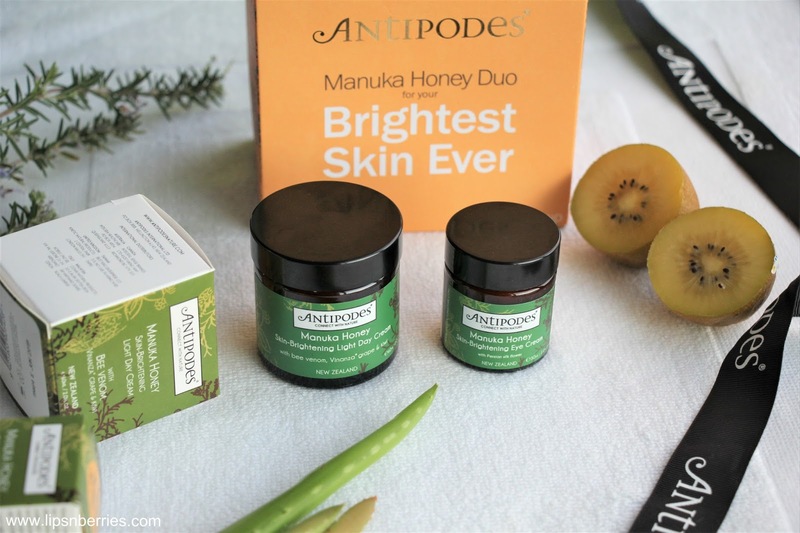 Antipodes Manuka Honey Brightening Skincare Review- Light Day Cream & Brightening Eye Cream | LIPS n BERRIES! I love natural skincare & if its made in New Zealand, I just HAVE to try it. 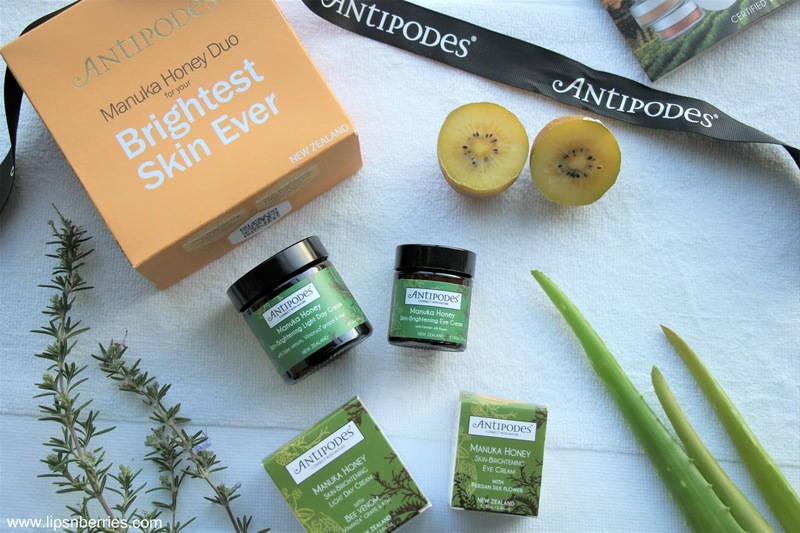 Antipodes is one of those brands that has a cult following overseas and is amongst the top beauty exports from NZ (up there with Linden Leaves, Savar Skincare, Karen Murrell &Trilogy). 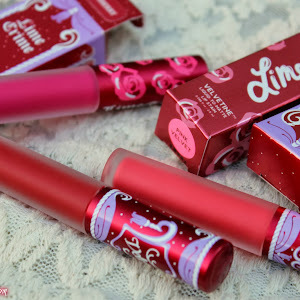 I've always wanted to try out their products specially their much coveted hand cream tubes. 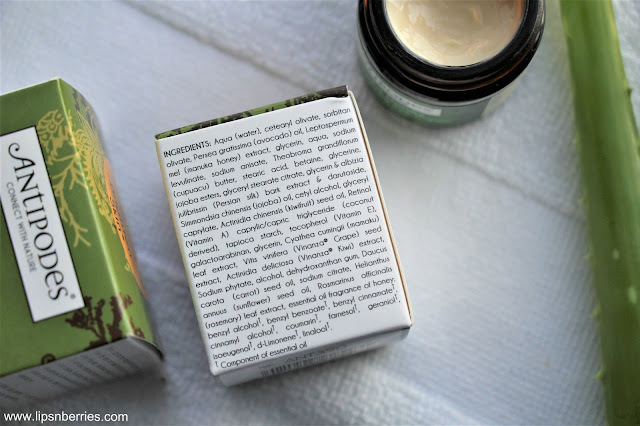 This thick eye cream in a recyclable glass pottle is pure luxury. The scent of warm honey is so soothing. The eye cream absorbs into skin real fast & visibly hydrates and nourishes the delicate under eye skin. The cream dries matte so is perfect under makeup. If you have oily skin and are looking for an eye cream that doesn't slip or slide and absorbs right in, this is for you. If you have dry skin, you'd probably look for more moisture. Its a thing with us dry skin peeps! We love creams that leave a wet texture. 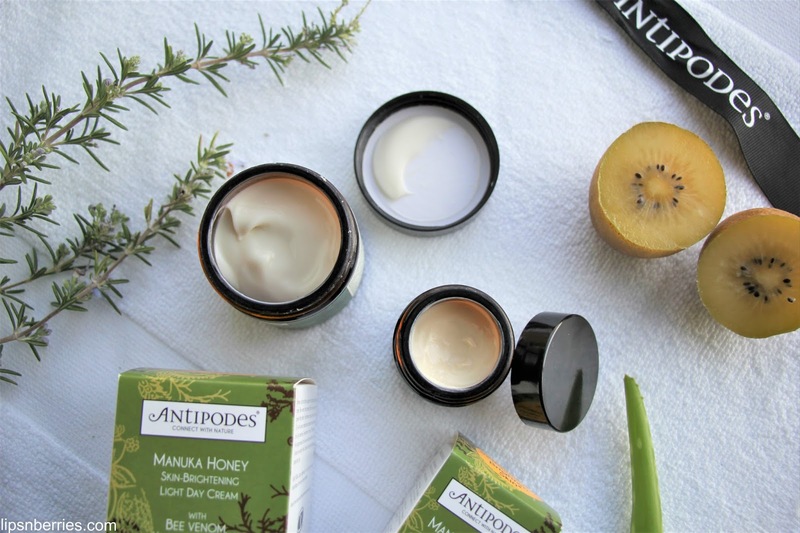 In saying that, the Antipodes eye cream did its job quite well as it absorbed and hydrated from within. 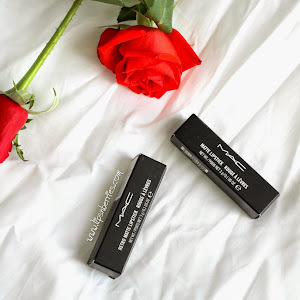 This range is specifically suited for day wear so I'd say it's suitable for all skin types as it takes care of delicate under eye area well and you are ready to put on layers of makeup in 2 minutes flat! I'm not complaining. If you're someone who hates dipping fingers into pottles, you might detest the packaging. I, however, love pottles. The satisfaction of being able to look at my product and the ability to extract out every last drop..ahhh the bliss! It makes me happy. The cream has antioxidant rich kiwi and grape extract that has been proven to improve cell membrane integrity by decreasing water loss, reducing pigmentation and skin redness. Hence, this brightening range is well suited for sensitive skin or skin that is prone to redness & pigmentation. I, however, did not see any reduction in my not-so-prominent under eye circles (a very subjective thing in my opinion!). It was just a nice n natural all purpose eye cream. I seldom have strong statements to make about a cream. Most times my experience is neutral meaning I can't make out what they did except that my dry skin just drank the whole lot. But with this one, I see the effects. If you have combination to oily skin, Add this to your to-buy list. This cream does what it claims. The hero ingredients in this cream are Bee Venom (hello visibly taut skin), Manuka Honey active 20+ (come at me bacteria!!!) and Vinaza grape & kiwi extract (qualities mentioned above). This light day cream takes just a few seconds to absorb and once its in, it gives you the most matte hydrated skin. Bee Venom sure as hell gives a tightening and lifting effect. For someone with dry skin, you'd get it that I don't appreciate the tightness but I can so imagine this to be a perfect day cream for someone with oily, combination or mature skin. Once its absorbed, you could pretty much put makeup on it straight away without being wary of your moisturizer. It just sinks right in. If only my holy-grail Clinique's Dramatically Different Moisturizing Lotion+ was this genius at sinking in. That guy takes a good few minutes to disappear into skin. I used this cream on and off for the whole of last year so I can't say if it reduced any freckles or made my skin better. 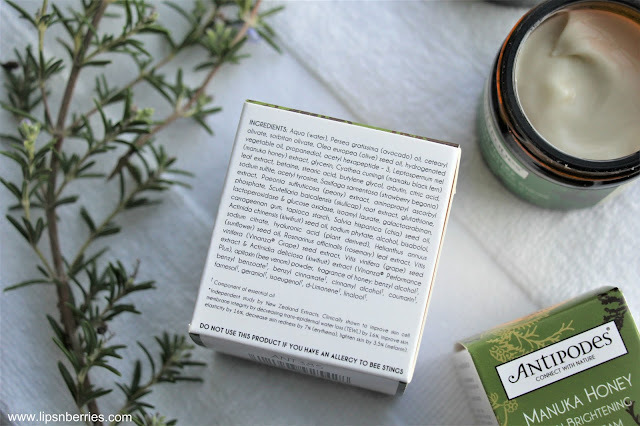 My sole purpose to write up this blog post was the fact that this day cream is godsend for oily skin. Dry skin peeps might have to layer it with a moisturizing toner or another moisturizer. 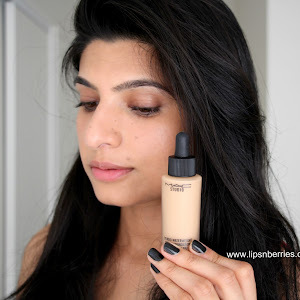 In saying that, I have put this one on my skin on full work days and it never gave away any dry spots or dullness. If you can deal with matte skin and tightening effect it is actually suitable for all skin types. 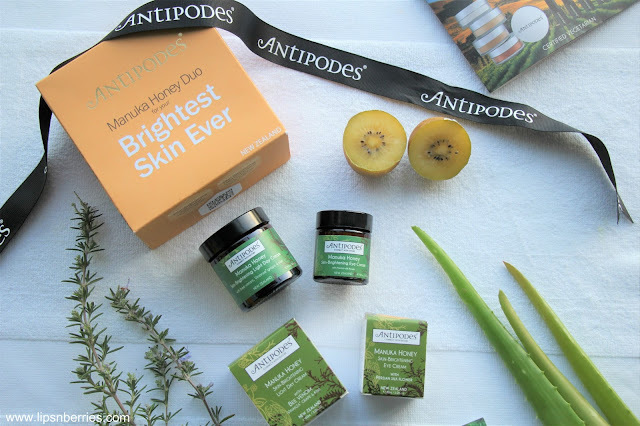 Well done Antipodes, now that's skincare done right. 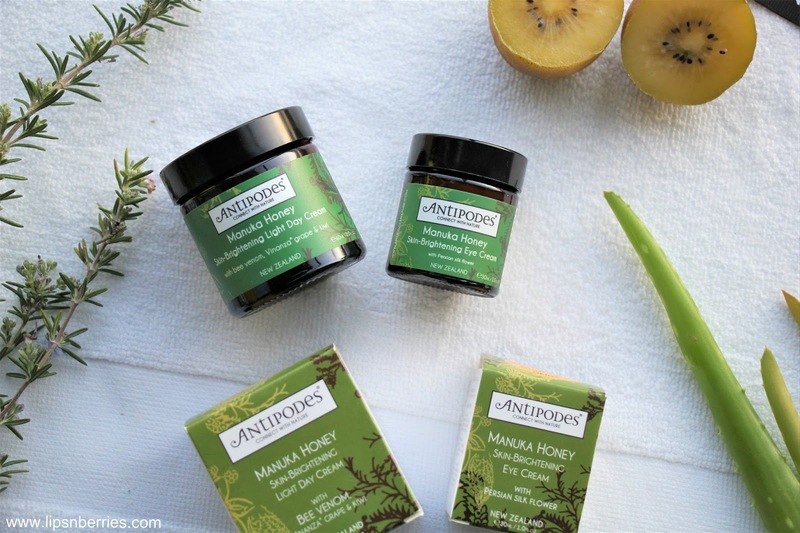 Antipodes is currently Buy 2, get 3rd free offer at Farmers NZ (June 6, 2017). 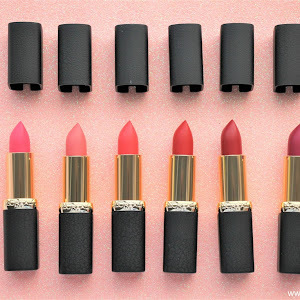 I cannot wait to try more from this skincare brand, specially their newly launched natural lipsticks, the famous Vanilla Pod hydrating cream & their cult favorite Divine Face Oil. Whats your favorite day cream? Do you like them looking juicy or matte?